It's likely because the the height of the blower raised the inlet pipe location requiring a box redesign. 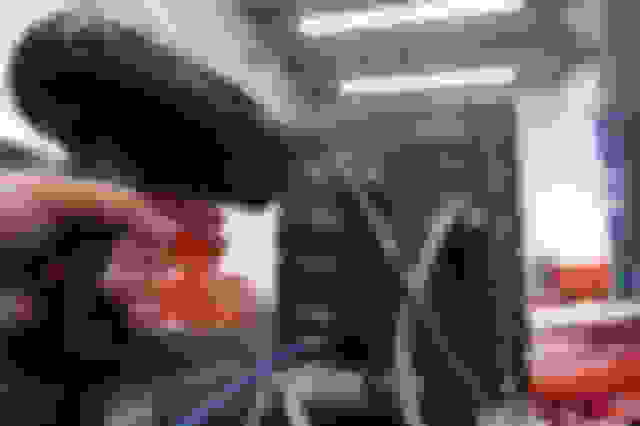 Last edited by Jasonoff; 09-28-2016 at 09:13 AM. There is absolutely no real testing done on this magic intake box. So does it works or not? let's see it took the engineers at amg to make more power on the sls by removing the 2 throttle body's in the manifold and putting them away near the intake filters and changing the whole intake with bug velocity stacks and a fixed runner system and tuned cams for it to make the 570hp and for the 622hp black series they upped the compression ratio on top of all this and after all that research and development they actually lost low end and mid range torque and made up for it be changing the final drive gear ratio and upping the rev limiter. I told my friend about this thread, and he put a lot of spacers on so his wheels would turn faster. Says it's good for 50hp per wheel. Sadly no dyno, so you'll have to just take my word for everything here. I wasn't able to get the spacer to fit on the rainy Friday evening that I tried to fit it on, so I simply replaced my stock filters for the Green filters that came in the package. They appeared to be the same height as the stock filters so it would make for a fair comparison of what the spacer actually does. The car unsurprisingly was more responsive and a little better at full throttle - I suspect this was also due to the fact that I was replacing filters which were dirty and of course not at their optimum to begin with. The next day, I fitted the spacers. Fitment was very tight, having to stretch the oem oval things upwards a little bit, but I got there in the end, after some tech support from Brooke/Exotic-Metal. What I will say is that the oem filter on this motor is very shallow, compared to the M113 filter which UPD have a picture of on their website....so tbh even before I fitted the spacer, i was a little sceptical about the gains, if any. The anodised red thing doesn't look too bad tbh, i kinda like it. Crucially, yes you can retain the front engine cover, albeit it's at a slight angle and not all of the dowel pin things ca reach their housings, but you'll be able to somewhat secure it on. First impressions....ahem, call it placebo if you must, but it did feel better vs a few days ago, the car does seem to pull altogether a bit more aggressively. 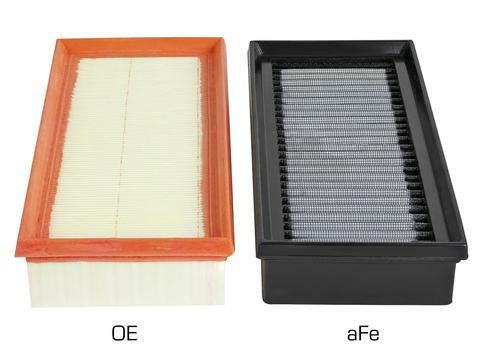 Whether it's just the addition of a clean high flow filter vs a blocked oem one, or the combination of the filter and spacer, but it does pull better and feel more sharper to drive. A bit more of the 'surge' towards the top of third gear is back, which I welcome with open arms. Hey I am also having trouble fitting the spacer who helped you lift up the tubes. A clogged filter can inhibit airflow. A spacer to create more air doesn't equate. What obstruction are you speaking of? You do understand that Weistec and others use this same setup on stage 2 and stage 3 systems with over 700hp. Why don't they use a spacer? Why didn't Mercedes figure this out? Why don't AMG's race teams use a spacer. 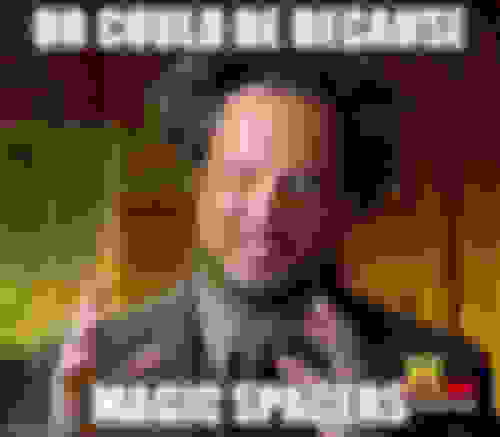 Simple answer here Einstein. BECAUSE IT DON'T WORK YO! as I’m looking to improve air flow for my stage 3 Weistec set up, the stock air boxes are a massive restriction. ive upgraded to the carbonio air box which made a good improvement. 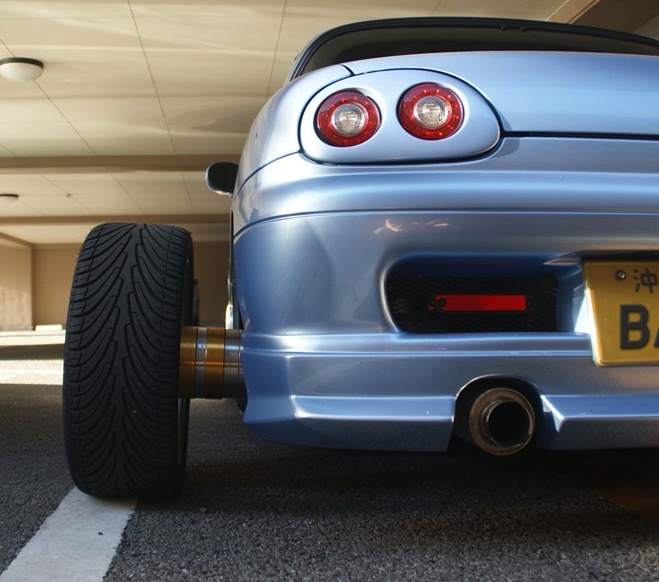 I’m looking at getting these spacers so i’l post how it goes. Last edited by MBNRG; 03-28-2019 at 01:53 AM. Can’t believe I almost paid $450us for that lol. 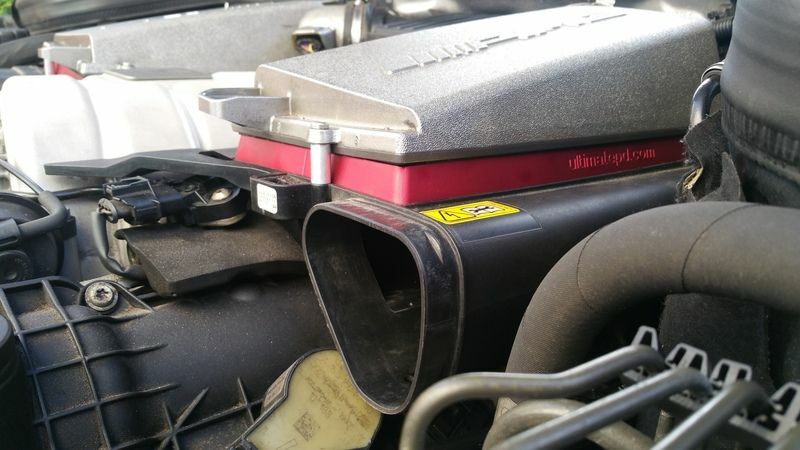 Anyways for $100aud I bought the Magnuson air boxes which replace the bottom part of the airbox. 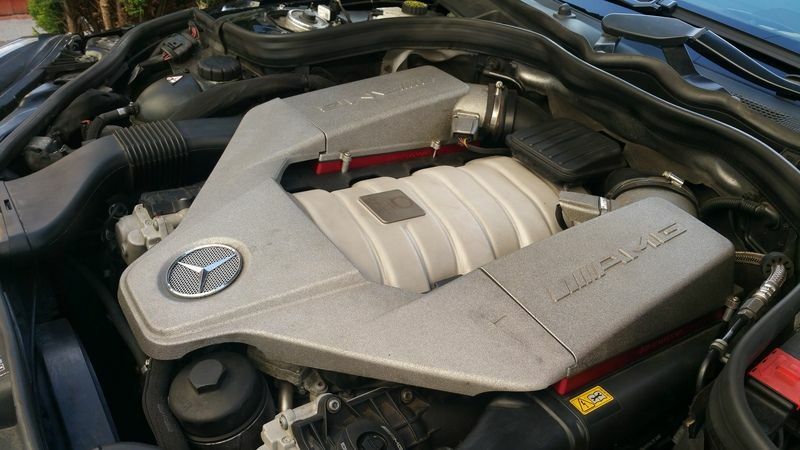 It’s significantly larger and has made a huge difference in my supercharged C63. 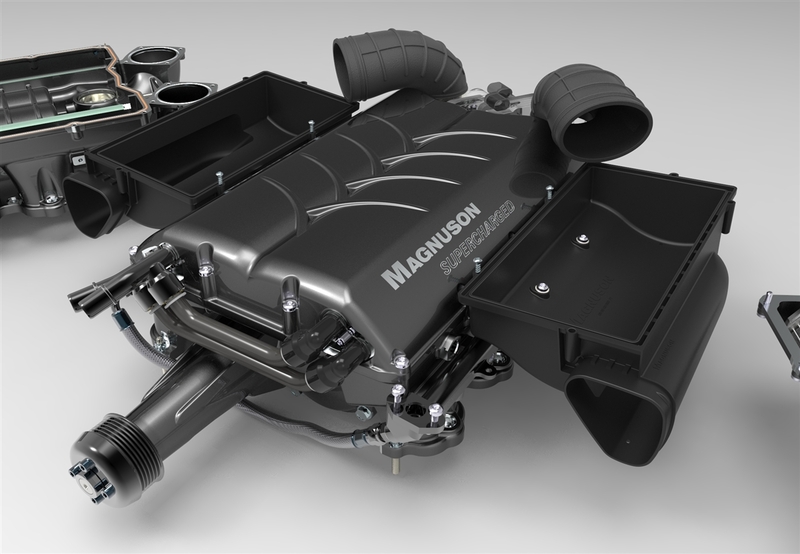 I bought the Magnuson air boxes which replace the bottom part of the airbox. 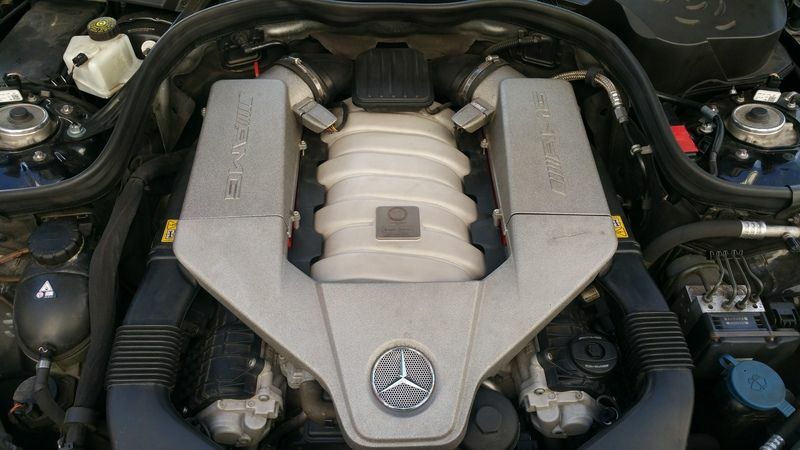 It’s significantly larger and has made a huge difference in my supercharged C63. Ken did kindly offer to fab up a similar larger lower airbox for OEM application if there's enough interest. . . Per his specs, the filter is elevated in the box by 25mm. The airboxes are 25mm taller than stock. But if you're going to get any traction on this, you may want to start a new thread if you want to drum up interest, as this thread seems to bring out lots of strong feelings about spacers. Unfortunately, I'm not 100% convinced either way. Both the Spacers and the Magnuson lower airboxes increase total airbox volume over stock - by increasing lower airbox height. Magnuson increases height by 2.5cm, the UPD or VRP or skratch77 Spacers increase it by ___ cm? Will this increase in lower airbox volume have a measurable increase in airflow & performance for a stock, Non-Supercharger application with stock TBs? How about with larger 82mm TBs? 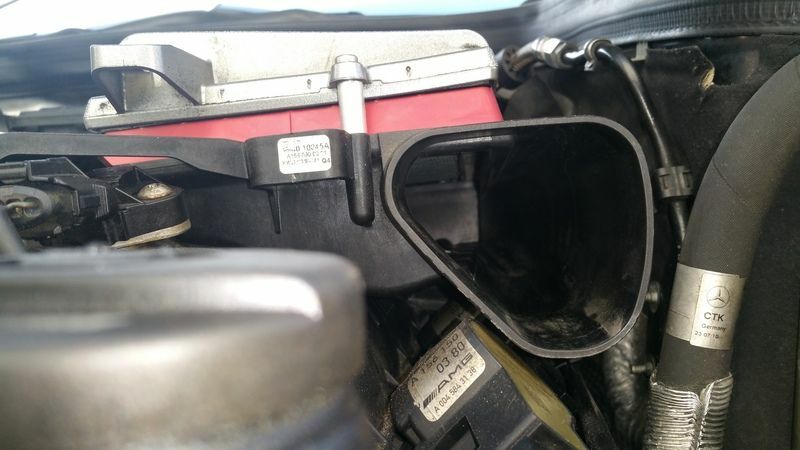 I'm not an airflow expert, but I can appreciate that my AFE Pro Dry S air filter has an impermeable rubber surround around entire perimeter (unlike the OEM air filter, where half of the filter element height is bare), and that this rubber surround may indeed obstruct some airflow, as it reduces the cross-sectional flow area of lower airbox's inlet. Could this perceived obstruction also cause unfavorable turbulence of airflow? Quite Possibly. But what effects, if any, do these have on airflow performance in a stock application? 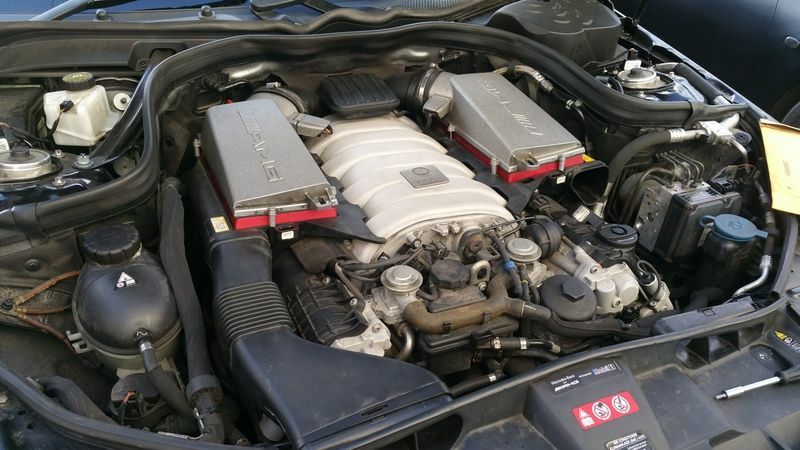 Even the OEM air filter on the left, with it's taller bare filter element exposed, is a semi-permeable membrane. Does this have any affect on airflow across this filter; does this cause unfavorable turbulence in its stock placement in stock lower airbox? 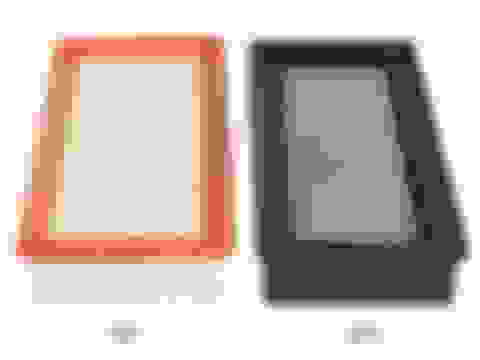 What effects, if any, do these have on airflow performance in a stock application? We just need more data. 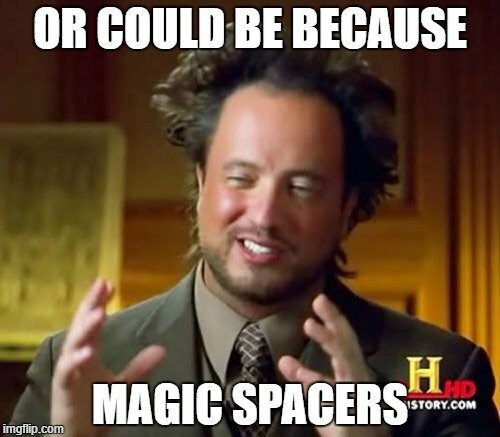 If anyone has _______ brand of Spacers, perhaps we can put the Spacers debate to rest by collecting data with the A/B testing via MAFs in my previous post. Dyno tuning is more costly and seems to have more uncontrollable variables. Last edited by MBNRG; 04-12-2019 at 02:17 AM. I think.anything that will give us more volume will help. If you look at how big the sls air boxes are compared to ours. They are huge with bigger air filters. I think if someone makes a totally new air box with a wider and bigger bottom half along with a new bigger air filter will make power. I'm basically maxed out on the intake side of things and a bigger airbox is my next mod I want to do.